All issues related to hiring appropriate staff are conducted in conjunction with the Human Resources office. Visit the Ivy Tech Career Site to review the requirements for or apply for positions at the Kokomo region: DSS - American Sign Language Part Time Hourly or PT Disability Services Providers. This guide is an online resource containing information as related to the Disability Support Services office of Ivy Tech Community College in the Kokomo Region. 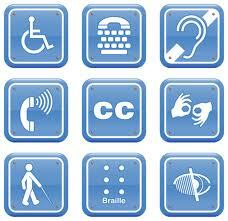 The Disability Support Services Kokomo Office is located in Main 101 at 1815 E. Morgan Street, Kokomo, IN 46901. The Kokomo office also serves the Logansport, Peru and Rochester Sites. Appointments may be scheduled Monday - Wednesday 8 am - 5 pm, Thursday 9 am - 6 pm or Friday 9 am - 5 pm. The mission of Disability Support Services (DSS) is to provide access to College programs, services, activities, and facilities for students with disabilities; to provide student advocacy; to encourage the highest levels of academic and personal achievement; and to advocate for an accessible environment. Advocacy, for the purposes of this document, is defined as actively supporting students in the acquisition of their support services, as well as acting on behalf of individuals with disabilities regarding issues of access, accommodation, resources, and College policy. Under Section 504 of the Rehabilitation Act of 1973 as well as the Americans with Disabilities Act of 1990 and ADA Amendments Act, students with verified disabilities who are otherwise qualified to attend Ivy Tech Community College are protected from discrimination and are assured equal access to educational programs. Accommodation under these civil rights statutes is determined on a case to case basis. Every student requesting accommodations through the DSS office is required to provide current documentation of a disability by contacting Disability Support Services at Ivy Tech Community College. After documentation is submitted, it takes approximately two weeks to determine if the student is eligible for services.